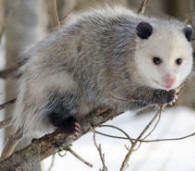 As development of once rural land increases, the opossum continues to be pushed out of its natural habitat and forced into closer proximity to people, often with injurious consequences to the opossum. This is where the Opossum Society of the United States comes in. 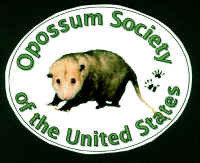 The Opossum Society of the United States is a 501(c)(3) non-profit, wildlife rehabilitation and educational organization dependent entirely upon volunteers, membership dues and donations. Provide for the care and treatment of injured and orphaned wild opossums for release back into the environment. Educate the public about the misunderstood opossum and the benefits the opossum provides. Network and share knowledge and experiences with fellow wildlife rehabilitators and others in the wildlife health field. We do not condone nor encourage the keeping of opossums as pets. Please take a little time to enjoy our site. Bookmark it and Check back from time to time for Updates.